Fopp on Byres Road will stay open after being marked for closure in a deal to save HMV. A Glasgow branch of the Fopp record stores on has been saved from closure after an outcry from customers and musicians. Fopp on Byres road was to be one of 27 stores closed as part of a deal which saved the collapsed HMV business. Customers and musicians alike hit out at the decision to close the store. However, after negotiations an agreement has been reached to save the popular record store. A spokesman for HMV said: "This is the best outcome for everyone and we are delighted to share the good news with all those who have been so supportive over the past weeks. He added: "We would like to thank all of the bands and musicians, and especially our amazing customers, who's support cannot be underestimated." Sunrise Records, the firm who bought over HMV, hailed the decision to keep the Glasgow store open. Doug Freeman, chief executive of Sunrise Records, said: "We are thrilled to be able to open this historic and amazing store back up. The only reason we were able to open this store was because of our loyal customer base and the landlord at Byres Road being willing to work with us to find a mutually beneficial deal. "We want to thank the landlord and our loyal customers for making this possible. We look forward to servicing this area for years to come." 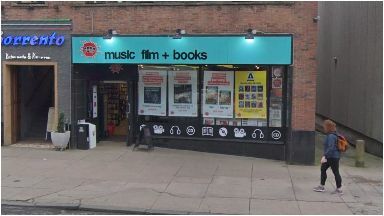 Byres Road was the site of the first Fopp record store which was set-up by Englishman Gordon Montgomery in 1981. The company proved a popular choice with music lovers and grew to become the third largest specialist music store with over 100 branches across the UK. After a downturn in sales, the company was taken over by HMV in 2007. HMV has been bought over by Canadian company Sunrise Records and Entertainment Limited, who will acquire 100 of its stores throughout the UK. Sunshine Records was founded in 1977 and had five stores throughout Canada when it was bought by Canadian entrepreneur Doug Putman in 2014 who quickly expanded the number to 84 after three years. The 34-year-old entrepreneur, who also owns Everest Toys, the largest toys and games distribution company in North America, is a self-proclaimed lover of vinyl records and is adamant that traditional music stores remain viable despite consumers ditching CDs in favour of digital downloads. Sunrise beat off competition from Sports Direct owner Mike Ashley to bring 100 of the stores out of administration and save thousands of jobs in the process.